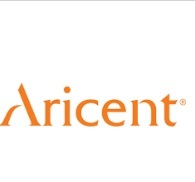 Aricent Hiring Associate Network Engineer,Aricent Fresher Associate Network Engineer,Associate Network Engineer Opening in Aricent,Aricent software Network Engineer,Aricent IT Associate,Aricent Recruitment,Placement And Opening In Kolkata Jobs,Hydrabad Jobs,IT Jobs,Bangalore Jobs,Pune Jobs,Chennai jobs,Delhi Jobs,Gurgaon Jobs,Noida Jobs in India. About Company :- Aricent is a pure-play product engineering service firm. It develops software, provides technology services, and works with networking, telecom, software, semiconductor, Internet, and industrial companies.Aricent is headquartered in Redwood City, California, with operations in 9 countries worldwide. Candidate should have good knowledge of CCNA basics. STP, SPAN, RSPAN, inter VLAN routing. IP source guard, private VLAN, port security. Advanced LAN switching concepts- CEF, QoS on catalyst switches, L2PT, Dot1Q tunneling, VSS. MPLS Basic understanding of LDP, TDP, MPLS L2/L3 VPNs.